It's hard to believe that sometime next week I will be letting this very special-to-me project go out into the world. Yep, I am launching my first line of illustrated cards & stationery! Growing up, I spent hours drawing everything from house plans to little cartoon characters with pencil and paper. When I moved away to college, my room at home had binders full of those loose sheets of paper containing all of my beloved creations. Since then I've had this desire to create something entirely of my own - a little illustrated world - but it wasn't until this summer that a side project sparked all of this to finally start coming to life. oh how lovely! 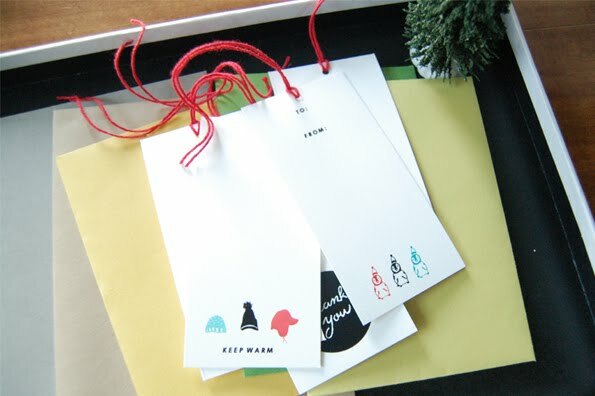 I loooove those penguin gift tags! I also love the penguin gift tags! But the hats are growing on me now as well. So great! And, you know I love that Ira Glass quote :). 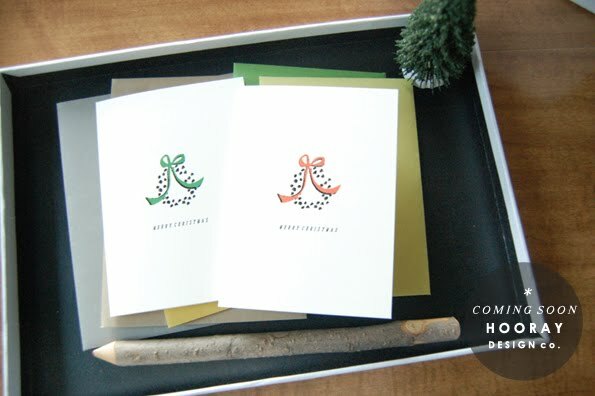 Yesterday I spent an hour favorite-ing holiday cards on Etsy - these will be added to my list! This makes me seriously excited:) I will make sure and share your shop on the fan page this month! Oh my goodness - when are these coming out?! In time for Xmas this year?! congratulations! that is definitely a goal of mine, you sound a lot like i was growing up as well :) can't wait to see more! How exciting! and thanks for the link to those inspiring words. I've read them before, but it's a great reminder. yay! yay! yay! can't wait to order some!!! Thanks again for the sweet comments & support! Rooth - they will definitely be ready in time for Christmas, hopefully next week! Wow, Alli, this is awesome. I'm psyched for you and have a sneaking suspicion it's really going to take off. You deserve it! Looks fabulous, can't wait to see the big reveal next week! Put my on your list Alli!!! I want to buy some! They are perfect, beautiful and I am so happy you are sharing your work with us!!! 'tis a gift to be simple....you have a great talent to refine down to the cute, cutie!